GRAND RAPIDS, Mich. – For families on the go or anyone short on time and looking for quality and convenience, SpartanNash and its Family Fare Supermarkets today announced they have teamed up with Instacart to offer same-day grocery delivery to store guests in Omaha, Neb. 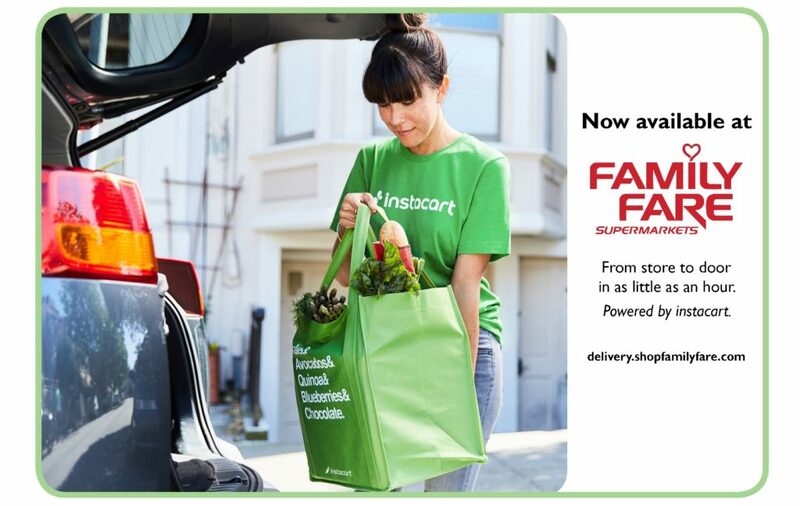 Starting today, Family Fare Supermarket shoppers can now visit delivery.shopfamilyfare.com to easily order their groceries online and have them delivered right to their doorsteps by Instacart. Customers will have the option to shop any of the 13 Family Fare Supermarkets offering the online grocery shopping experience in Omaha, giving them access to in-store promotions and all of their favorite produce, dairy, meat, frozen food and everyday essentials. Through Instacart, their orders will be delivered in as little as an hour. Family Fare Supermarkets offer selection, quality and freshness, helping its store guests feed their families well, browse, discover and even indulge – all within budget. Whether in the store or online, Family Fare offers value, affordable wellness, locally made products, indulgence and discovery in the shopping experience and a commitment to corporate responsibility. In total, SpartanNash operates 83 Family Fare stores in six states.